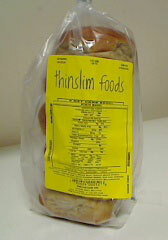 As one of the mainstays of the western diet bread is often incorporated into at least one meal a day, and many people consume bread with breakfast, lunch and dinner. Finding low carb alternatives to bread can be major hurdle for those on a low carb diet, but we’ve come up with some tips that you will find useful whether you are on the Atkins diet or just following a Low GI regime. Believe it or not some sturdy iceburg or romaine lettuce leaves can hold most sandwich fillings and you can do away with burger buns if you really don’t want to go down a low carb alternative route. Obviously you will need to let hot food cool down a bit if you attempt to eat it as hand-held food. Two slices of broiled egg plant make a delicious and healthy alternative to a regular sandwich, you can have a hot filling as well, try mozzerella, tomato & basil drizzled with olive oil for a truely Mediterranean lunch. A standard white tortilla has a GI of 30 so is still much better for you than regular bread, however these wholemeal tortillas have only 3g of net carbs in each tortilla, so a delicious and healthy alternative to your lunchtime sandwich. Compare the Gyclemic Index of a regular white pita of 57 to a baguette that’s 95 and you’ll immediately see the sense in switching, however these zero net carb pitas are just the thing if you’re following a stricter low carb diet. Pita bread also makes a great alternative to pizza bases, just pile all your favorite low carb toppings on and you’re good to go. Crisps Bread are great alternatives for both toast and sandwiches alike. You can spread anything you want on them and they are excellent for snacks to keep you going between meals. 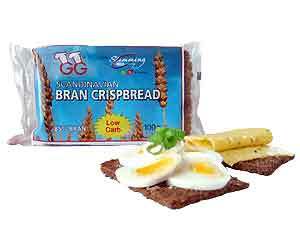 They are usually very high in fibre and these GG Scandinavian Crispsbreads have just 7g of carbohydrates per cracker. They can even be used crushed up instead of breadcrumbs. There are many low carb breads on the market and we at Linda’s Diet Delites have a fantastic range to choose from with different levels of net carbs and of course, different tastes and flavors. This Healthwise Bakery loaf has just 2g net carbs per slice so your breakfast toast may not have to be a thing of the past. Again, thanks to the popularity of low carb diets there are now many types of low carb bagels available. These ThinSlim Foods Low Carb Bagels have just 3g net carbs and 50 calories per bagel. If you really can’t face that family BBQ get together without your burgers being in a proper bread bun then consider our low carb burger buns and low carb hot dog buns. 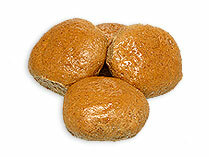 These Healthwise Bakery Zero Net Carb Burger Buns currently have 25% off.